What is jealousy, types of jealousy, problems arises due to jealousy, planets responsible for jealousy problems, how to over come from the negative impacts of jealousy problems, best tips by astrologer. A feeling which is not good for any person is jealousy, It is the result of negative thinking and not believing on ourself. If we study the jealous people we can easily find that they are in this state because of there own problems like as fear of losing something, anxiety of something, insecurity due to any personal or professional reason. It is also seen that pessimistic thinking leads to become a jealous person. This type of negative feeling is not at all good for any one and make the life hell, people don't like these types of person because a negative rays always disturb the environment. If anyone is thinking of destroying someone or something, if anyone is engage in leg-pulling always, if any one get's short tempered always then beware, it is a dangerous behaviour and showing that the person is jealous. Not only adults but children are also suffering from this type of negative feeling which is definitely a big obstacle in the way of success. If we study the people around us then we will find that different types of jealousy is present in society which is due to the different types of reasons. 1. Females are generally fear of losing there good will in family and due to this they become jealous of some family members. 2. Some people are jealous of there neighbour because of there good life or peaceful life. 3. In office some workers are jealous of colleagues because they think that they are doing well and not getting benefits as per others. 4. There is another jealousy which arise with in couples. Due to fake conceit this type of things happens. 5. If any student get more response from teacher in class then some students become jealous of this. 6. This problem also arises among friends. Due to this type of negative feeling person is unable to behave normally in society and this lead to loss in health, social good-will, loss of mental peace. So there is only disadvantages of this feeling. It makes the person abnormal in many ways and this is very dangerous. So if any one want growth in profession, honour in society, success in life then it is necessary to over come from this negative and pessimistic feeling. Actually there is not a particular planet responsible for this as per my analysis. But the Ist house is very important to know that why any particular person is behaving like this. Ist house is the house of mind and shows the mental condition of any one so if this place is affected badly means if any malefic planet or bad planet is present then it ruins the mind and makes the person obstinate, jealous and pessimistic. 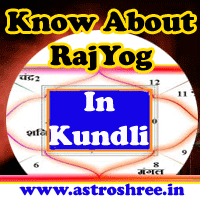 If the Ist house of horoscope/kundli/birth chart is positive but weak then person sometimes become jealous due to lack of mind power and enter in depression. So it is very necessary to treat jealousy problems through various ways. 1. Don't do any comparison with any one. 2. Always sit with positive minded person and motivators. 3. Believe in your self and keep it in mind that the qualities you have is the best for you. There is no need of comparison or becoming jealous by comparing with others. 4. Arise the feeling of sportsmanship and be optimistic. 5. Try to learn best and try to give best to society. 6. Consult astrologer to know the exact reasons of jealousy and know the ways to over come from this. So if you think that any problem is ruining your life and you are not able to live your life with comfort then do Consult Astrologer now and get the best astrology guidance to make your life sweet, smooth and successful.